Paul Elie’s new book on Johann Sebastian Bach is a wonderful piece of writing that’s hard to categorize: a biography of Johann Sebastian Bach, a history of recorded sound, an analysis of Bach’s interpreters over the years, and a virtuoso attempt to explain why Bach is simply the greatest composer of all time. 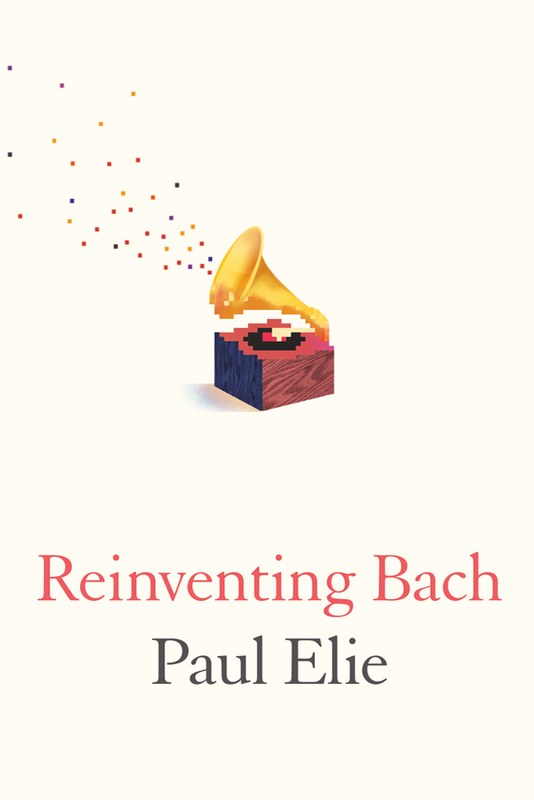 None of these descriptions does justice to Elie’s “Reinventing Bach,” which is written like a great piece of music — with its own rhythm, counterpoint, moments of deep reflection, and spectacular flourishes of verbal dexterity. I am ambivalent so far about those spectacular flourishes. Some work well. Others I find overwrought. Yesterday I started the book’s second part, on Pablo Casals. As was the case in Part I, on Albert Schweitzer, Elie alternates passages about the interpreter under discussion with an account of Bach’s career. I love Elie’s treatment of Bach. These passages are fabulous. In parallel, Elie is telling us about Casals’s discovery of Bach’s cello suites, the impact they had on his musicianship and life, and his recording of them decades later, in the 1930s. Here is an example of Elie’s verbal dexterity. You can hear their equipoise in Casals’s recordings: in the balance between fast and slow, delight and struggle, and in the serenity of his playing even in passages of outward agitation. But balance and serenity are not what you hear first of all. What you hear is a voice. At first, it is the voice of the cello itself: the sound of wood carved, glued, polished, strung, and tuned in ways so as to replicate the tubes and chambers of a creature’s innards. It is an animal sound, all furred and tendoned. In the slow passages, it is elephantine, or older–a dinosaur’s cry. In the fast ones it is equine, a steeplechase run in stop-motion. But before long, the sound of this music, played this way, is a human sound. The instrument sighs. It grunts. It swallows. It inhales and exhales. Sometimes the sound is dry and nasal. Sometimes it is a chesty honk, a double lungful of sound. Sometimes it is glottal, the tongue enunciating against the roof of the mouth. Sometimes, as the bow is pulled across the strings as across a row of teeth, it is a shout. But it is a voice, no question about it. Like a voice, it seems to come from a source at the center of the body. And like a voice, it seems an inherent trait, given to the performer, not striven for. And this, a couple of pages later. Casals’s cello suites are records of life during wartime, anchored in the exploits of a man who discovered the suites and then, blood-soaked, discovered them again. But how did he do it? How, exactly, does the sound of people killing one another in the plain air get behind closed doors, into the cello, in between the lines of Bach’s music, and onto the steel-cut disc that is the master recording? Did he play the suites the way he did in the late thirties because of the state of the world, or in spite of it? And is it right to suppose that music is somehow more human when it is made while there is a war on? Those are the questions running through his recordings of them, in cogitation counterpoint to their armature of wood and wire. In this cantata he is not, in the main, expressing himself with his music. He is trying to devise a structure that will make Hell seem truly hellish and the Harrowing of Hell really harrowing. His kin are Mercator, with his drafting tools, Hooke with his springs and gears, and Leeuwenhoek with his microscopes–men in small rooms trying to see the world whole and steady, mastering phenomena with precision instruments by the pale northern light. By the way, the first classical music I ever bought was a recording of Bach’s Brandenburg Concertos with Casals conducting the Marlboro Festival Orchestra. (Here it is, decades later. A 1990 digital version in two parts, with I imagine miserable sound quality, available from Amazon.) New to live classical recordings, I was taken aback partway through the second concerto by the distinct sound of someone sighing. I’ve always imagined it was Casals. Thanks to Elie, I now realize that it was Casals’s cello, inhaling and exhaling. Have a look at Tommasini’s NYT review. It takes exception to some of Elie’s argument in ways that I suspect I will agree with as I work my way through the book. And since the New Yorker’s brief review is behind the paywall, I’ll quote its first and last sentences. Elie examines how the age of recording has changed the way we listen to Bach’s music. … The book, structured in short sections intended to mimic Bach’s polyphony, is an occasionally frustrating but ultimately impressive testimony to Bach’s power to speak to successive generations. In closing, I’ll note that as I write this, I am listening to János Starker’s recording of Bach’s sixth cello suite through my computer’s built-in speakers. I have always thought that listening to the Bach suites this way, rather than on our high-end audio system (or better yet, live), is absurd. Apparently Elie will convince me that it’s just right.